Empathy. That's what society is lacking. The word itself encompasses not only compassion, but the ability to feel what others are feeling, or just the effort of understanding other people's struggles. What I have learned over the years is that religion itself can remove empathy. I'll never forget back in 1997 when Christians told me I was going to hell just for being a lesbian. I couldn't believe this because I thought God was an "all loving God" and that Christianity was accepting, tolerant, patient and kind -- all of the things Corinthians speaks about regarding love. They called me horrible names and made me feel extremely alienated. They actually made me feel "hated" by God. But on my journey in discovery God more -- discovering Jesus more -- I learned a valuable lesson: Jesus is the one who is accepting, tolerant, patient, loving and kind. Some of the members of his fan club are not. They are nothing like Jesus. In fact, when I come across these intolerant "Christians", they exude feelings of dread, anger, resentment and hatred. That's not love. That's not Christianity. I truly believe that's the devil's work. Last night while watching Caitlyn Jenner receive the ESPY Arthur Ashe Award for Courage, I realized something very important. Even though I still have mixed feelings about Caitlyn receiving this award and how I thought other people should have received it instead, like wounded soldiers or people battling cancer -- maybe this award will help other trans people to have the courage to be who they are. Maybe it will lessen the abuse, the bullying, the murders as well as the suicides. I guess as humans, we all struggle in different ways, none worse than the other. So why are we judging one another so harshly? It is such a waste of energy to pour out hatred and bigotry onto society. And don't tell me that the words "hatred" and "bigotry" are overused terminologies to describe conservative Christians because it's not. It's exactly what they are doing. They are beating up other people in the name of God and they want to justify it by saying, "God doesn't accept them, so neither will I." So which commandment is the most important one of all? I think the Bible made that very clear. 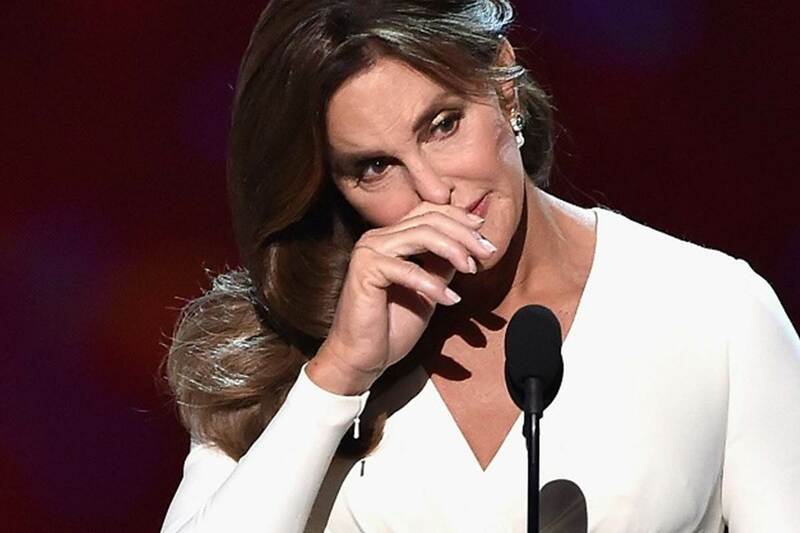 If you want to see Caitlyn Jenner's story as well as her receiving The Arthur Ashe Courage Award, then click here or just view the video below.